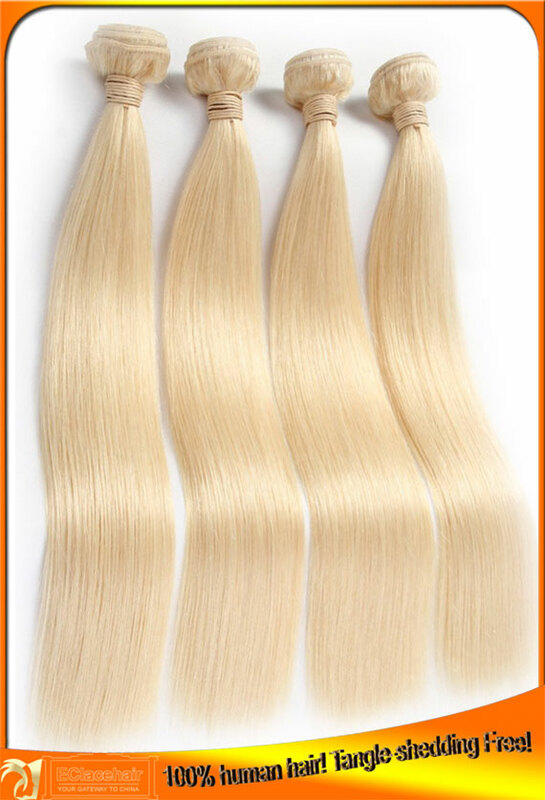 High quality blonde color 613 100% Brazilian human hair weave wefts.100 grams/bundle. We use 100% virgin Brazilian human hair for our hair weave bundles selling on the site. Width is different when length and weight of hair weave bundles are different. Silky straight,Body wave can fall into pattern. We committed ourselves to quality improvement and control. We ensure all hair weaves sent out are qualified. Lead time:1~2 days,sometimes body wave hair bundles will take around 3 days when not available.Large quantity in stock..
High quality Brazilian blonde 613 hair weave bundles wholesale price.